We love babies. And we understand baby's delicate skin needs to stay dry and comfortable in a nappy. 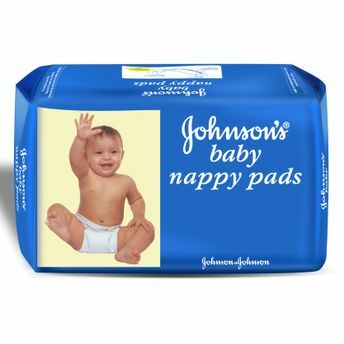 Johnson's Baby Nappy Pads provide a special absorbency system that draws moisture into the pad and locks it with a special adhesive to prevent the shifting of the pad. Lined up with a breathable quality material and soft rim, the nappy pad does not allow a tight-fit on your child's bottom and this allows him to move Ultra Thin easily with Ultra Thin any hesitation. So mothers, pamper your little one with the best care. A happy dry baby with Ultra Thin any discomfort stays happy and playful exploring the world around her helping her senses get stimulated which is critical for your baby's happy and healthy development. Explore the entire range of Rash Creams available on Nykaa. Shop more Johnson's products here.You can browse through the complete world of Johnson's Rash Creams .